As the chilly days continue, this February, the month of love, seems like the perfect time to spend more time with the greatest loves of our lives – books! There is nothing better than when you have a good book and can’t wait to get back home, cozy up in those winter blankets and spend time turning the pages, right? Well, in the name of love, this month we have devoted it to the most important love – self-love. And we found an awesome self-love book just for you. 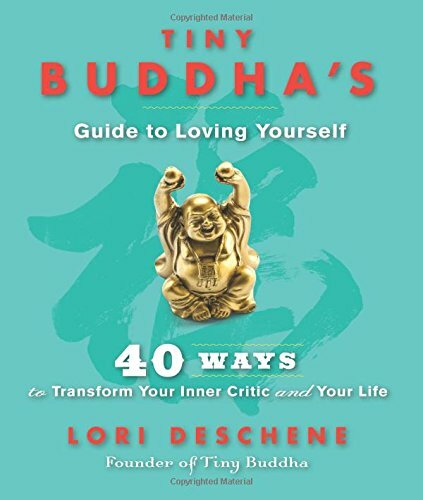 Today, we are presenting Tiny Buddha’s Guide to Loving Yourself by Lori Deschene. Why should you read Tiny Buddha’s Guide to Loving Yourself by Lori Deschene? Judging ourselves harshly is the greatest mistake we make. And yet, every day, we slam down the hammer on ourselves, shattering every hope to ever develop self-love for ourselves. In the same time, we are the judge and the judged, the harsh, and the desperate for acceptance, the refuser of love, and the ones pleading for it. Stuck in a loop that will never bring us forward in life. But, you can break the cycle by replacing judging with self-love and self-acceptance. Deschene in her book relies on her story, as well as the stories of people that are just like you, that were harming themselves but, broke those cycles and found self-love. Each story echoes with our reality, perceptions, common issues, and they are so relatable, that it’s simply a must read. After each story, there is a summary with insights, which help you through analyzing their stories to understand why you are the way you are, and why you should love yourself just the way you are. Simply amazing book, which has helped so many people in their darkest hours! We recommend that you pick it up immediately! Tune in to our blog to get more free weekly book recommendations!